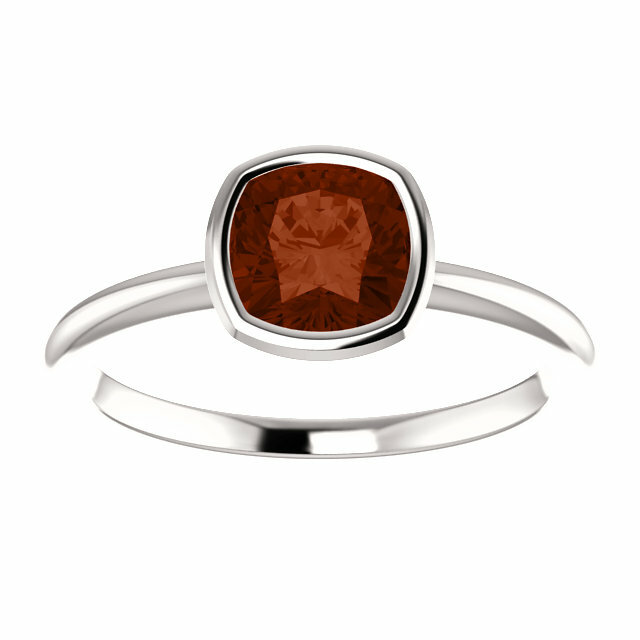 A rich, red, deep-colored cushion-cut garnet gemstone is bezel-set in a 14k white gold ring. What could look more beautiful on your finger? 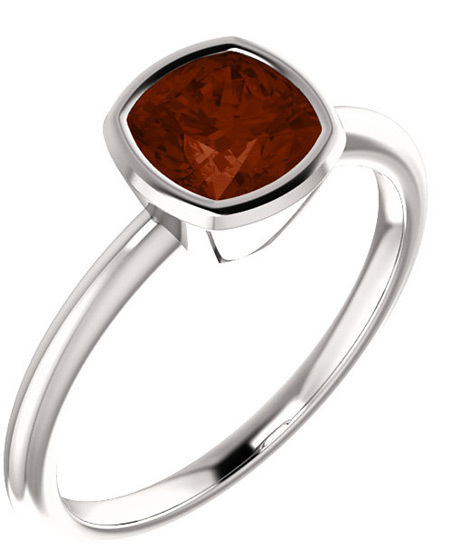 Perfect as a garnet solitaire ring, engagement ring, or just because. 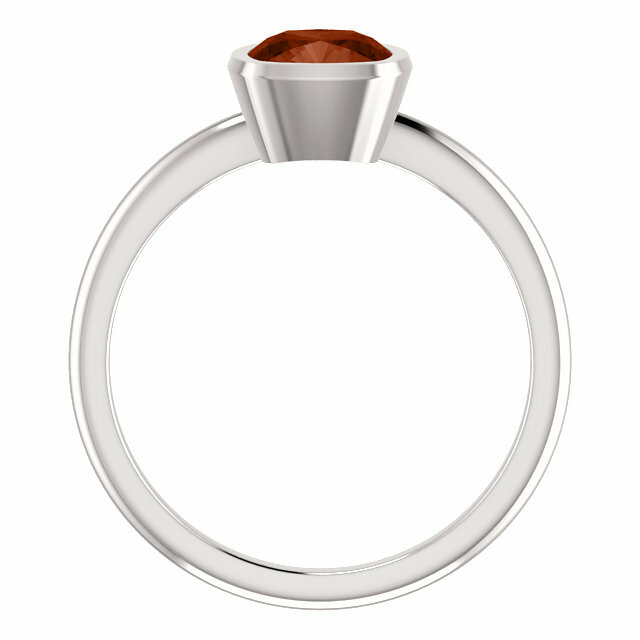 With such a versatile design, this ring can be worn on just about any occasion and with any outfit. Garnet measures 6mm x 6mm in size and is rated a high AA quality. This ring is available in women's sizes 4.5 - 9 and is also available in a variety of gems and metals, like 14k yellow gold or sterling silver (shown below). We guarantee our Cushion-Cut Garnet Ring Bezel Set in 14K White Gold to be high quality, authentic jewelry, as described above.